Mother’s Day is right around the corner and what better way to tell her that you love her than by giving her a book that celebrates Mom? 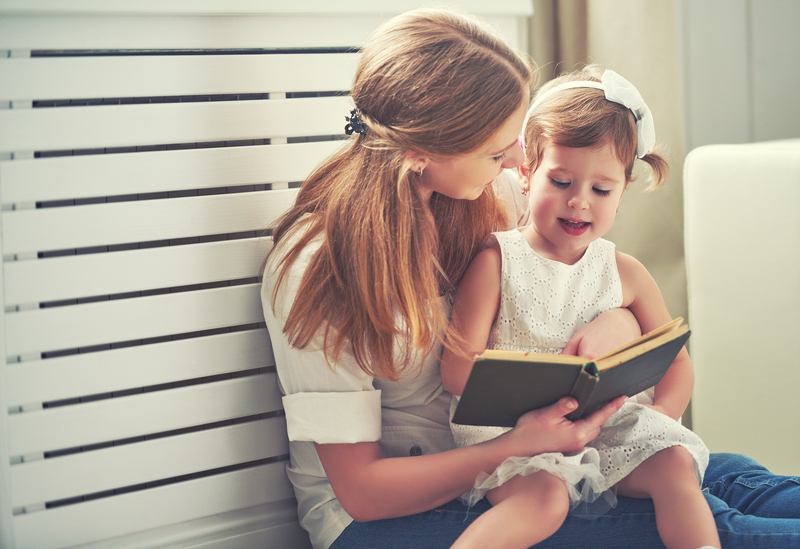 The first three books are best suited for mom to read to, and for, herself. The remaining books are perfect read-alouds to the entire family. One in Charity (Talks from The 2016 BYU Women’s Conference) is a compilation of talks from last year that are rich with stories from inspiring speeches that include Linda K. Burton, Brad Wilcox and Camille Frank Olson. Sister Burton relates touching stories, some of which are very personal, that will surely motivate the reader to “…love our Heavenly Father with all our heart, soul and mind and our neighbors as ourselves.” The blessings will pour down upon us like showers from heaven if we just submit to His will. Worth the Wrestle, by Sheri Dew, addresses some very difficult questions head on and proceeds to answer with heartfelt love and faith. Some members question the Church’s position on gay marriage, others on tithing and a lack of blessings when paying tithing in full. There are other questions addressed in this book and all are intensely examined by the author. She writes with such power because she brings out in her book her own insecurities and impatience. She writes about fervently asking the Lord when she will become married. When will she find her eternal companion? Throughout this entire book she emphasizes that by living by faith, while seeking answers, enables the Lord to truly bless you with greater truth and knowledge. Before You, by Rebecca Doughty, briefly describes life without your sweet offspring. What was life like before you? What is life like now with you? The simple rhyming text goes perfectly with the simple illustrations, done with ink and flashe paint. “I was a tail without a wag. Just a bean without a bag.” “You put the splash into the puddle. You put the squeeze into the cuddle.” There’s rich intonation in this beautiful little book. The Mother’s Day Mice, by Eve Bunting, and beautifully painted with details abounding by Jan Brett, is a reissue that was originally published in 1986. Three little mice wake up on Mother’s Day and head outside before their mother wakes up in order to gather surprises for her. The larger two mice find their gifts right away. But Little Mouse has difficulties selecting his and comes back home with nothing. Or does he? There’s a sweet surprise for the rest of the family when he delivers his gift to his Mother. Between the gorgeous illustrations, and the loving impact of the story, this could become a family favorite! Dream, by Matthew Cordell, celebrates the beginning of life, the possibilities of life and the love of this new life. A gorilla family dreams about the future of their new baby and all of the great possibilities that await him. All of the way through this strong message the dream of what can come of this child is tremendous with anticipation and hope. There are magical little sprinkles found all of the way through surrounding this child. They are found completely covering the end-pages. The illustrations were done with bamboo pen, India ink and watercolor on paper. I’ll Always Love You, by Mark Sperring, and brightly painted with acrylic and the use of colored pencils by Alison Brown, has a mother mouse expressing her love for her child through the element of time. “I’ll love you for whole days / all stretched out in a line. / I’ll love you for weeks / and a much longer time”. Can you guess how long this mother will love her child? “Forever “. The Complete Adventures of Curious George (75th Anniversary), by Margret & H. A. Rey, is the perfect book to give to mom if there are children ages three to seven in the family! She is always looking for sure methods to keep them engaged, especially while traveling in the car! This oversized book is packed with all seven original stories about that silly monkey. The stories included are Curious George takes a Job, Curious George Rides a Bike and Curious George Gets a Medal. The pictures are the delightful original ones as well. How to Avoid Extinction, by Paul Acampora, is the perfect book for mom to read out loud to the entire family! It has heart. And it celebrates family and the importance of being close and loving each other. And it’s written with humor. Thirteen-year-old Leo and his entire family are grieving the death of their beloved grandfather. But the one who misses him most is Gram. She has decided that the perfect solution is to go on a road trip. So Leo, his seventeen-year-old cousin, Abbey, and a golden retriever, head across the country in the old 1973 Buick. The antics, fun and hilarious adventure they experience all of the way to Dinosaur Land in Utah will have everyone in stitches and begging mom not to stop. This is just the book mom has been looking for for her entire family to enjoy together!